Cyber Terrorism: Political and Economic Implications is a cyber terrorism brief that outlines many of the recent terrorist activities, political objectives, and their use of cyberspace. Much of this book is dedicated to illustrating the use of the global information infrastructure by terrorists for the communication and coordination of distributed terrorist cells, the gathering of target intelligence, and the use of cyber criminal activities as a force multiplier for both physical attacks and infrastructure destabilization. This book identifies the underlying technologies of the global information infrastructure as a means for presenting how critical this emerging domain has become. It then discusses the current attack methods and lays out a series of scenarios for key industry sectors. 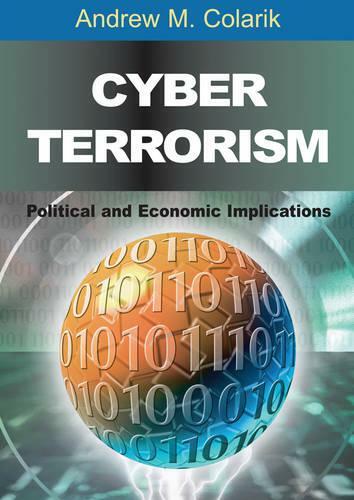 Lastly, ""Cyber Terrorism: Political and Economic Implications"" puts forward prevention and response policies for reducing cyber terrorism activities in the context of traditional information security objectives.